5 Things You Need To Know About The Vacuum Cleaners Energy Label - Which? Everything you need to know about the EU vacuum cleaners energy label and where it stands following Dyson's successful appeal against it. The energy label, introduced in September 2014, aimed to reduce energy consumption across Europe. 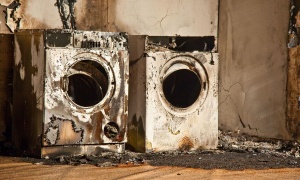 It was annulled in 2019 after a successful appeal by Dyson. Dyson argued that the dust pick-up tests (which affect the ratings) didn't reflect real-life usage conditions. Maximum motor wattage restrictions and other eco-design regulations still apply, but the label has been disbanded. The EU is working on a revised version, and is also looking at broadening its remit to cordless vacuum cleaners. What are the EU energy regulations? EU eco-design regulations, and the energy labelling scheme, have a two-fold aim. 1. To help consumers choose more energy-efficient products (via the energy label on vacuum cleaners). 2. To collectively cut energy consumption by encouraging manufacturers to make more efficient products (via restrictions on motor size and other design measures). Your energy savings as an individual may not be significant, but the European Commission says that with more efficient vacuum cleaners, Europe as a whole will save up to 20 TWh of electricity per year by 2020, the equivalent of the annual household energy consumption of Belgium. On 8 November 2018, the European General Court annulled the vacuum cleaners energy label, supporting Dyson’s claim that the test method didn’t adequately reflect real-life use. Tests are conducted with an empty rather than a dust-loaded vacuum cleaner. The Commission had until 18 January 2019 to appeal the judgement, but decided not to do so. As a result, vacuum cleaner manufacturers are no longer required to display an energy label on their products. EU eco-design requirements are still in place, meaning that the motor size of vacuum cleaners is still restricted to 900W. There are also still minimum cleaning, filtration and durability standards in force on all vacuum cleaners sold in the EU. Do less powerful vacuums mean less effective cleaning? Some people had concerns that motor wattage restrictions would affect the cleaning power of vacuum cleaners, but this isn't the case. 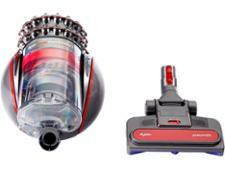 We've found plenty of brilliant vacuum cleaners that clean effectively with lower wattage motors. There have been some side-effects though. Read on for more on how the label has affected vacuum cleaners. Just want to know which are the best and worst vacuum cleaners? 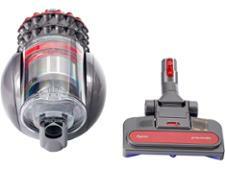 Head to our vacuum cleaner reviews. What is the vacuum cleaners energy label? Filtration efficiency - this measures how well the vacuum traps dust and allergens once sucked up. Poorer models will leak dust back into your home. The label also tells you how noisy each vacuum cleaner is using dB (decibels). This scale isn't linear, so a vacuum cleaner with a rating of 80dB is likely to be twice as loud as one with a rating of 70dB, and will be roughly equivalent to standing near a busy road. From 1 September 2017, the energy label introduced a tougher maximum power level of 900W, cut the maximum noise level to 80dB and requires vacuum cleaners to pass two durability tests - one on the hose and another on the motor. The ratings on the label now range from A+++ through to G, rather than simply A to G, to allow for more differentiation. The durability tests assesses how resistant the flexible hose on vacuums is to splitting or breaking, and how well the motor stands up to repeated use. 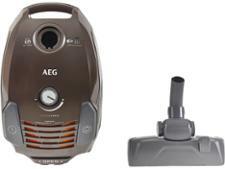 Has the energy label made vacuum cleaners worse? No. There is no evidence to suggest that vacuum cleaners with smaller motors are any worse at cleaning. In fact, according to our tests, the standard of cleaning has remained relatively stable when you compare vacuums from before and after the label was introduced. If anything, cleaning performance has, on average, actually increased as a result of the energy label's introduction. However, there have been some unfortunate side-effects. In 2015, we exclusively revealed that the rating system on the label is being inconsistently applied, as manufacturers each test and label their own vacs to slightly different methods. This makes it difficult to choose the best vacuum cleaner based on the performance information on the label. We've also found that some vacuum cleaners' ability to pick up larger crumbs and household debris has suffered, as some vacuum floorheads have been optimised for picking up the fine dust used in the energy label tests, as opposed to the mix of dust, dirt and fluff found in homes. 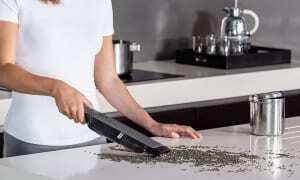 Our cleaning tests challenge vacs to pick up both fine dust and larger crumbs. See our pick of the best vacuum cleaners for the models which will give your home a thorough clean. Should you buy a vacuum with a larger motor? 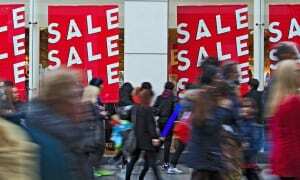 In the months preceding the energy label's introduction in September 2014 there was a rush to buy vacuum cleaners with very large motors that would soon be banned. But, as our testing shows, a smaller motor is no barrier to brilliant cleaning. If you need a new vacuum cleaner, our vacuum cleaner reviews can help you to find one that cleans effectively and to avoid the vacuums that do a poor job of household cleaning. What impact have the stricter 2017 energy regulations had? As well as cutting the motor power, the 2017 changes also limited the noise level of vacuum cleaners to a maximum of 80dB. Half of the vacuum cleaners that we've tested since 2014 proved louder than this in our tests, so one of the more noticeable changes is that vacuum cleaners have become quieter, though we've found a fair few uprights that breach the 80dB limit. This can be disconcerting, as it might sound like the vacuum cleaner isn't working as hard. However, it can be achieved with good internal sound insulation, and in recent years we've found some brilliant vacuums that are whisper-quiet. One possible consequence of the label has been that manufacturers are increasingly focusing their efforts on cordless vacuums, which are exempt. Dyson announced it wasn't developing any new corded models in 2018, and we've seen fewer launches from other brands too. Cordless vacs are lightweight and versatile, but they won't suit everyone. We've found corded models are still better on average, and you can usually get a top-notch one for less. Check our list of the best vacuum cleaners for less than £200.